Yet another Teresa Mannion weather report mash-up has emerged - this time with the theme tune to former Channel 4 series Desmonds. Given she was reporting on Storm Desmond, it's very apt. 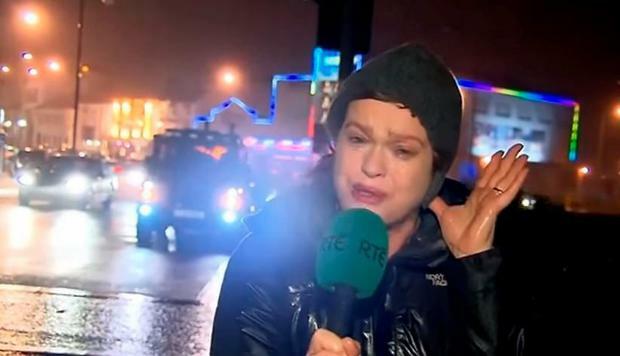 Teresa's original RTE report went viral last week and countless parodies and mash-ups have emerged including a horror movie narrated by Teresa, a Super Ceili remix, and an Umbrella (Rihanna) mash-up among others. She was also mimicked by star Ariana Grande on her Snapchat.